Larry David Books new Film!!! ‘Curb Your Enthusiasm’s’ Larry David has just signed on to star in a new comedy from Greg Mottola. The new comedy film is untitled at the moment, but will feature a more improv-based story line, much like ‘Curb Your Enthusiasm’. Larry David, Alec Berg, Jeff Schaffer, and David Mandel are all working together on the project, which they have all worked together before on ‘Seinfeld’ and ‘Curb’. Mottola directed ‘Superbad’, ‘Adventureland’, and ‘Paul’. So, we know he’s good at directing comedies. 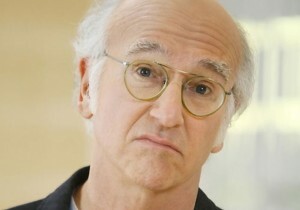 The plot is being kept under wraps at the moment, but anything involving Larry David has got to be gold, right? I will update you all, when I hear more. Check Out Who Has Been Cast in Larry David’s New Comedy, ‘Clear History’!!! This entry was posted on Thursday, May 17th, 2012 at 1:05 pm	and is filed under Film, News. You can follow any responses to this entry through the RSS 2.0 feed. You can skip to the end and leave a response. Pinging is currently not allowed. « Check Out the Trailers for CW’s New Series, ‘Green Arrow’ and ‘Beauty and the Beast’!!! [straining] I'm very attached to my balls.